Cayton's lively new history of the frontier period in Indiana puts the focus on people, on how they lived, how they viewed their world, and what motivated them. Here are the stories of Sieur de Vincennes, John Francis Hamtramck, Little Turtle, Anna Tuthill Symmes Harrison, Tenskwatawa, Calvin Fletcher--along with many more familiar (and not so familiar) early Hoosiers. Description: For all this talk of affection, however, Anna [Symmes] was also stubborn and direct when she knew what she wanted. It was no coincidence that she defied her father in making the one great choice of her life: to marry Willia m Henry Harrison. The Judge had good reason to worry about the twenty-three old officer. Symmes conceded that the lieutenant had 'understanding, prudence, education, & resource in conversation' as well as 'about L3000 property' and the Judge wanted 'the a ssistance of some young man in my own arrangements.' The problem was that Harrison had 'no profession but that of arms.' '[A]bilities he has, what his application may be I have yet to discover.' This was all perfectly reasonable. Indeed, the Judge intende d to 'consult' with his daughters about the whole business while Nancy [as the Judge called her] considered Harrison's offer. In the end, it seems, Symmes objected less to Harrison than to the timing of the match. But fathers in late eighteenth-century No rth America had increasingly less influence over their children's marriages. Romance and passion were the order of the day. Nancy made her own choice and she made it primarily for love." Most history concentrates on the broad sweep of events, battles and political decisions, economic advance or decline, landmark issues and events, and the people who lived and made these events tend to be lost in the big picture. Cayton's lively new histor y of the frontier period in Indiana puts the focus on people, on how they lived and how they viewed their world and what motivated them. 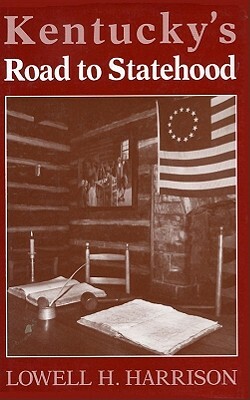 Here are the stories of, among others, Jean-Baptiste Bissot, Sieur de Vincennes; George Croghan, the ultimate frontier entrepreneur; the world as seen by George Rogers Clark; Josiah Harmar and John Francis Hamtramck; Little Turtle; Anna Tuthill Symmes Harrison and William Henry Harrison; Tenskwatawa; Jonathan Jennings; and Calvin Fletcher. 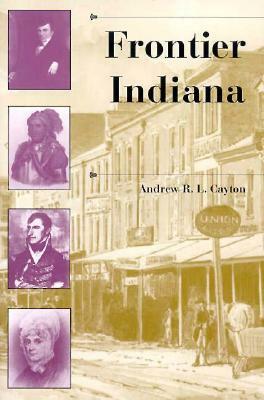 Focusing his account on these and other representative individuals, Cayton retells the story of Indiana's settlement in a human and compelling narrative which makes the experience of exploration and settlement real and exciting. 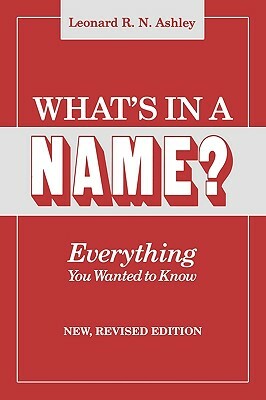 Here is a book that will a ppeal to the general reader and scholar alike while going a long way to reinfusing our understanding of history and the historical process with the breath of life itself.